NC State students and staff plant longleaf pine tree seedlings on Centennial Campus. Mulch and protective fencing were also installed to boost the trees' opportunity for successful growth. 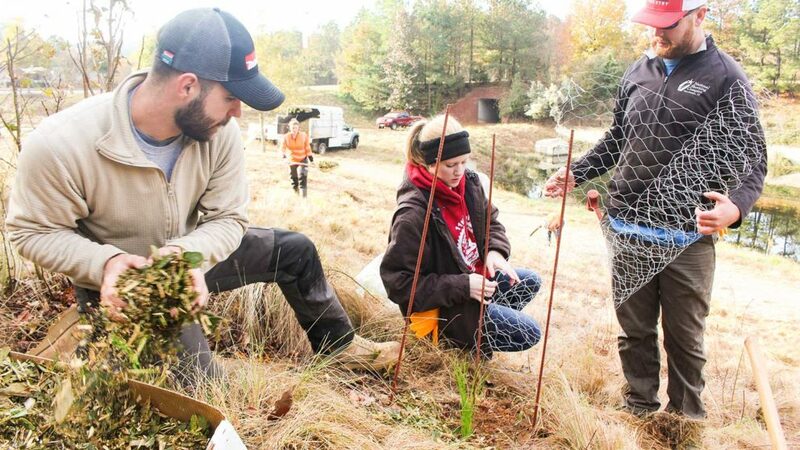 On November 30, NC State Grounds Services employees and College of Natural Resources students planted longleaf pine tree seedlings on Centennial Campus. Though native to North Carolina, the longleaf pine population is dwindling in favor of faster-growing pine tree species. For Grounds Services, this planting is an opportunity to boost the longleaf pine’s presence on campus.